Chicken Soup for the Soul, 9781611599381, 432pp. Amy Newmark is publisher and editor-in-chief of Chicken Soup for the Soul. 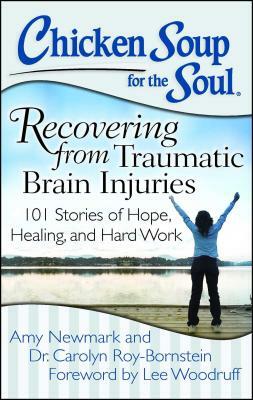 Dr. Carolyn Roy-Bornstein is a physician and writer with a grown son recovering from a traumatic brain injury. Lee Woodruff is a contributor to CBS This Morning and author whose husband, ABC News anchor Bob Woodruff, recovered from a traumatic brain injury incurred while embedded with the military in Iraq.